Did you know the New England Patriots saved about $21 million by replacing Dion Lewis with Sony Michel and Nate Solder with Trent Brown? 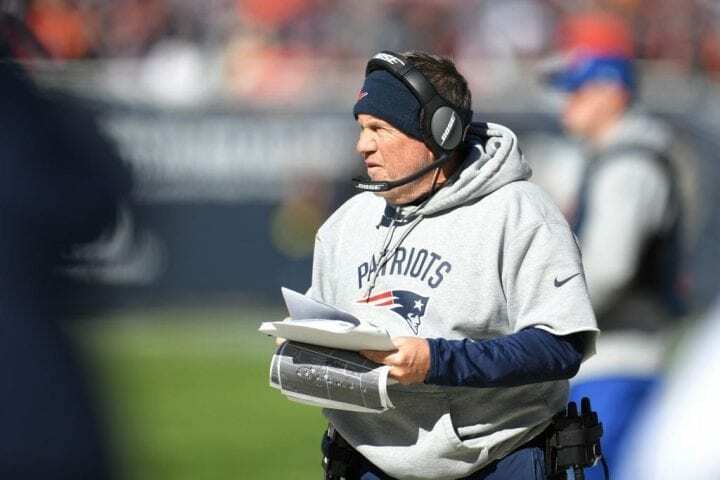 Bill Belichick is a savant in a gray hoodie. Once again, we salute the No. 1 team in Tiebreaker.com’s AFC power rankings. So what, the Pats couldn’t wrap up their win over the Chicago Bears until Mitchell Trubisky’s last-second Hail Mary left him 1-yard short of paradise. The Patriots have scored 38 points in four straight games and Josh Gordon basically still is wearing sweatpants. Think about how many points the Chiefs have scored (266). That’s 44 more than the Tennessee Titans and Oakland Raiders combined. But who is counting? Well, obviously we are. As long as Pat Mahomes is chucking it and the Chiefs are rolling up 551 yards, like they did against Cincinnati, there will be nothing to worry about, maybe not even the defense since the Bengals only scored 10 points. The truth of the matter is Justin Tucker’s failed extra point at the end of Sunday’s loss to the New Orleans Saints, the first of his career (222-of-223), would have been right down the middle had a gust of wind not blown it Scott Norwood (wide right). It was an act of God, just like Drew Brees. Hold your head high, young man. Just for the sake of emphasis, we would like to repeat the only teams to beat the Chargers this season are the Los Angeles Rams and Chiefs. They have won four straight and are well within reach of the Chiefs should the thoroughbred falter at any point. Philip Rivers is playing great and their defense doesn’t even have Joey Bosa back yet. The Chargers’ sky blue: the best uniform in the NFL. At this point, the Steelers should just take down Le’Veon Bell’s nameplate and mail it back to him postage due. They don’t need him. Bell seriously miscalculated his situation and the Steelers are having the last laugh as they come off their bye week. They have scored 41 against the Atlanta Falcons and 28 against the Cincinnati Bengals. Maybe he would enjoy playing in Buffalo. By the way, the Steelers are wearing 1978-79 throwbacks on Sunday against the Cleveland Browns. The Texans have won four straight and soon will be in control of the worst division in the AFC, which is saying a lot with the East as a neighbor. 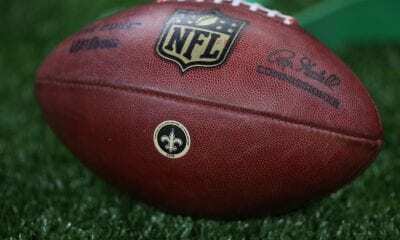 With Deshaun Watson, J.J. Watt and DeAndre Hopkins, and the Jacksonville Jaguars, Tennessee Titans and Indianapolis Colts gasping for air, this could end up as a rout. Oh by the way, they play the Miami Dolphins on Thursday which means Brock Osweiler will be back in town. 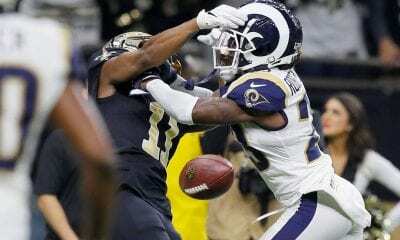 Their performance against the Chiefs last weekend was very disappointing on a number of fronts, starting with the inability of the offense to score more than 10 points on a defense that at times has been indefensible. We thought Andy Dalton and his guys were well past clunkers such as this. Marvin Lewis might be the luckiest coach in America. He has the job security of a Supreme Court justice. There are a lot of unhappy people on this team right now. It reminds us of the New York Giants during the days when Kent Graham was the starting quarterback and Michael Strahan, Jessie Armstead and Keith Hamilton would look at the poor guy like he’d stolen their wallets. The Jags defense does not care for the Jags offense which has scored only 10 points in two weeks. If they lose in London on Sunday, they might just leave Blake Bortles in Piccadilly Square. 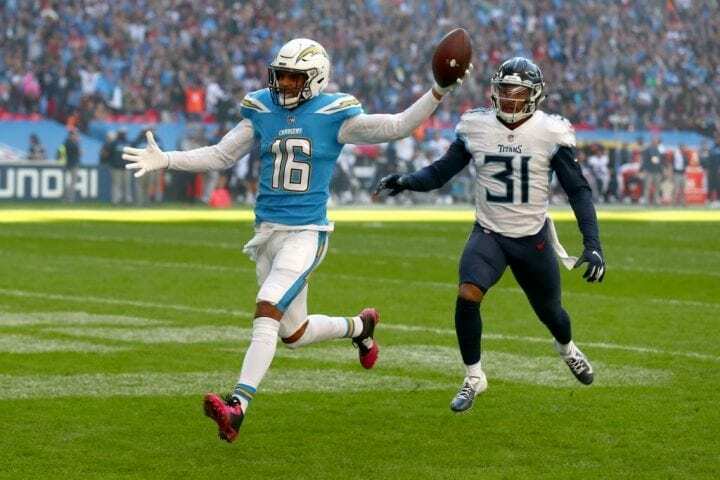 The Titans have lost three straight, the most recent their agonizing 20-19 loss to the Chargers in London last Sunday. You’ll recall coach Mike Vrabel decided to go for the win with 31 seconds to play after the Titans had scored a touchdown to pull them within one. The first attempt was an incomplete pass, but the Chargers were penalized giving the Titans a do-over. The second attempt was broken up. Have you ever had to fly from London to Nashville after something like that? It stinks. 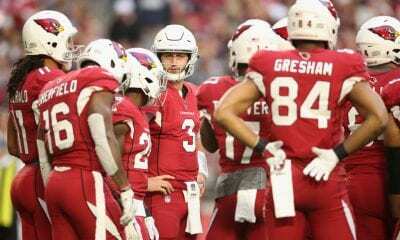 Before last Thursday night’s game against the Arizona Cardinals, Broncos linebacker Von Miller promised to rain hell down on poor rookie quarterback Josh Rosen and his sadly inept offense. It was 35-3 at halftime. Any questions? The Cardinals fired their offensive coordinator. If this were elementary school, Miller would have been called to the principal’s office for bullying on the playground. One of The Fish, receiver DeVante Parker, feels so fried that his agent, Jimmy Gould, dropped an email after Sunday’s loss at Detroit hinting coach Adam Gase doesn’t know what he’s doing because Parker had been inactive for five of the team’s seven games. Gase was chill when asked about it. But here’s the kicker – and we don’t mean Garo Yepremian. Receivers Albert Wilson and Kenny Stills – and quarterback Ryan Tannehill – won’t play Thursday. In fact, Wilson may be lost for the season with a hip injury. So guess who gets moved up the ladder? Last week against the Minnesota Vikings, rookie Sam Darnold threw for 206 yards, three interceptions and one TD. But he is still the most beloved QB in The Big Apple. It’s hard to be Eli Manning these days. Did you see the all-green uniforms the Jets wore Sunday? They looked like a lineup of Christmas trees waiting for a home. The Browns played their fourth overtime game out of seven on Sunday at Tampa Bay. No team has ever played five in a season. So we guess the Browns have a chance to make history this season. We’d feel bad about what happened to them. They couldn’t have seen Chandler Cantazaro’s game-winning 59-yarder coming. But the Browns were called for 14 penalties. Let’s face it, the Colts have had an impossible time trying a halfback without the vibe to replace Edgerrin James, Marshall Faulk and Eric Dickerson. Sorry, Vick Ballard and Trent Richardson didn’t get it done. But maybe Marlon Mack can. He gained 126 yards and scored two TDs against Buffalo. Why is this important? The Colts are 0-5 this season when Andrew Luck has to throw 40 or more times. Really, we don’t what to say at this point. They signed Derek Anderson to play QB last week because Josh Allen is hurt, Nathan Peterman stinks and Joe Ferguson is 68. Anderson threw three interceptions. The Bills have scored 81 points. That’s 11 fewer than the Cardinals! We look forward to the day when Jon Gruden returns to the Monday Night Football booth and Booger McFarland takes over as Raiders coach. But let’s give Gruden credit. He was smart enough to get a No. 1 pick out of dopey Jerry Jones for Amari Cooper. And maybe he’ll get another when he trades Derek Carr to the Jaguars after they lose to the Eagles.